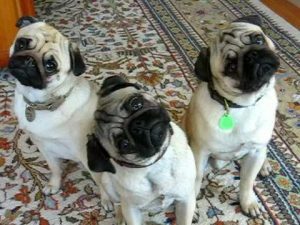 All pug owners know the head tilt as if they are trying to listen to you, hanging on to every wise word you are uttering. Makes them adorable, how many people give you this much attention. But what does it really mean? OK, let us cut through the myths and sentimental explanations what is really going on. There have been some scientific studies on this but with most behaviour, it can be very simple and obvious. We re-home many dogs, not just pugs but what is obvious to me those dogs that do the head tilt most by far are those with ears which have large droopy ear flaps compared to their actual outer ear under the flap. 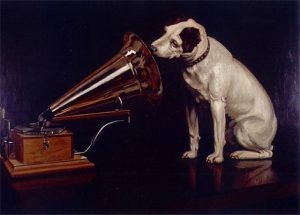 Now we all know dogs have great hearing but have you noticed they are not as good as us humans at detecting the direction of the noise. Take a look at bats ears ideal for detecting the direction of sound, dogs with droopy flappy ears the complete opposite of good ear design for detecting direction, we humans being somewhere in the middle. Oh no I hear you say, tilting my own head in your direction, so it’s not because he’s trying to listen to me intently then? its just he’s trying to find the direction of the sound. Well, let me give you some balm and confirm your wonderful connection with your pug. OK so anatomically your pug is tilting its head because he is honing in on the direction of the sound but it also helps your dog to listen for those intonations of your voice that tells him if you are saying it’s time for a walk or feeding time or if he’s been very good or heaven forbid been bad and all those other conversations you have. We have had many dogs pass through our staging home before they go on to be re-homed and I can tell you those dogs that tilt their heads are also the dogs that have a heightened understanding of human emotions and empathy, yes he does really think you are the centre of his world and he is trying to pick up every little signal you are giving him and hanging of every word.